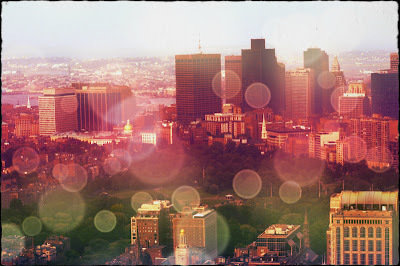 I have spent all of 6 nights in Beantown in my life. It took less than 24 hours for me to nearly get stabbed by a street person, try more beer brands in a night than I'd probably tried in my entire life up until that point, and to view and thoroughly misinterpret that eclectic hoarding of American historic sites that make up much of the city. I had a great time. It is with regret that I welcome Boston as the latest member of the East Coast Tragic Culture to be re-initiated into the fold. The events of Monday, and let's just call them what they are: an attack on American culture perpetrated by weak and cowardly individuals indoctrinated into a culture of violence, have served to re-invigorate the modus operandi of Bostonian culture. When I grew up and cigarette advertisements were still a thing, Western Americans were always portrayed as rugged individualists, living off the land, dependent only on themselves for survival. In the Southern part of America post Katrina we saw a cultural identity of communalism with strong focus on neighborhoods and large extended friend/families. Jet over to England and you'll recall that the British stiff-upper-lip has recently received a modern/retro makeover in deference to the "Keep Calm and Carry On" slogan. So when Bostoners become the victims of horrible tragic events, what core values do they fall back on? I like to call it something akin to militant-individualism, in other words: the East Coast Tragic Culture. If Western individualists are rugged, Easterners are militant practitioners of personal sovereignty, dwelling with no small amount of irony in perhaps the most legally restrictive part of the United States when it comes to defending yourself. East Coasters revel in their reactions to adversity. New Yorkers and New Jerseyans who suffered through life in the aftermath of 9/11, even the ludicrous security measures we imposed on ourselves, hold that as a badge of honor. 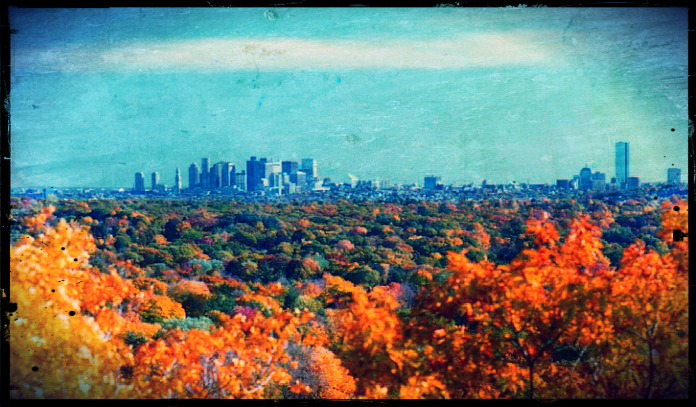 Our winters are a slush-filled nightmare of coastal weather and freezing temperatures, our cities are a simmering pot of peoples from all over the world who came to America via New York and haven't managed to make it any further in yet, and anyone close enough to New York City to commute to it bears the distinction of having the moxie to live within the afterglow-zone of Kim Jong Un's most coveted target. Seriously, you thought the Cold War was over? Try living in New Jersey where you're always halfway between Boston and NYC, halfway between NYC and Philadelphia, or halfway between NYC and DC! ...but it's not about New Jersey, it's something about the East Coast, it's something about the region that spurred authoress Edith Wharton to pen the novel "Ethan Frome" with many a scene that captures the absolute beat-down that man suffers at the hands of East Coast weather even when everything else in his existence is to his benefit. Instead of "Built Ford Tough" they should sell trucks with the slogan, "Built Albany Tough" or "Built Dorchester Tough." ...and then there was Newtown. What do you say about Newtown? It defies comment, the wholesale massacre of innocents in that way... and yet, just a couple months after this unconscionable act of unfathomable sorrow, while parents of that tragedy still walk past the untouched bedrooms of their dearly departed children, that community has already raised $20.4 million in charitable aid and succeeded in the monumental act of getting the Senate to agree to at least discuss stricter gun laws. That last is something that no one else has managed to do and included the backing of 16 Republican Senators, amazing in and of itself. So now Boston joins the club that no one ever wants to be a member of: the East Coast Tragic Culture. I have seen Boston at its brightest, as a historic and infinitely walkable city whose extensive, if not clean, public transportation is no match for pub-crawling your way back home from sightseeing on a warm Summer's eve. 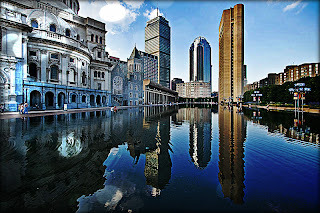 Yesterday, I saw Boston going through some of its worst times in recent history... and I also saw marathon runners switch sports to hurdle tall barriers into still smoking debris fields to perform combat medicine by sheer force of will, and not experience, upon the victims of the bombing. I saw race officials in their clean new coats turn from a celebratory air of festivity to running their own marathon with victims in wheelchairs to whatever ambulances they could find. I saw a 78 year old who was blown off his feet by 2 bombs and still came in 2nd in his division. I saw police officers used to walking the beat and probably doing a fair amount of traffic enforcement turn in an instant on film and run into the clouds of thick noxious smoke with their service pistols drawn and low like soldiers in a foreign land. Yesterday I saw Boston going through some of its worst times in recent history and yesterday I saw Boston at its brightest, shining through. You don't end up a part of the East Coast Tragic Culture by geography or by having bad things happen to your community, you earn that spot by your actions in response to the tragedy that inevitably befalls all communities over a long enough span of time. 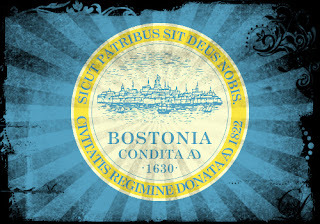 Boston has earned their place yet again, through the heroism and spirit of its people.